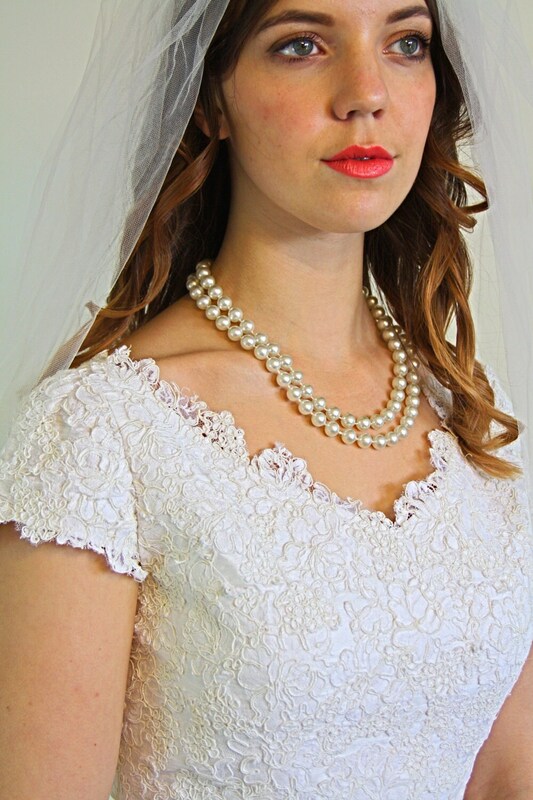 This is such a beautiful and simple 60s wedding dress! 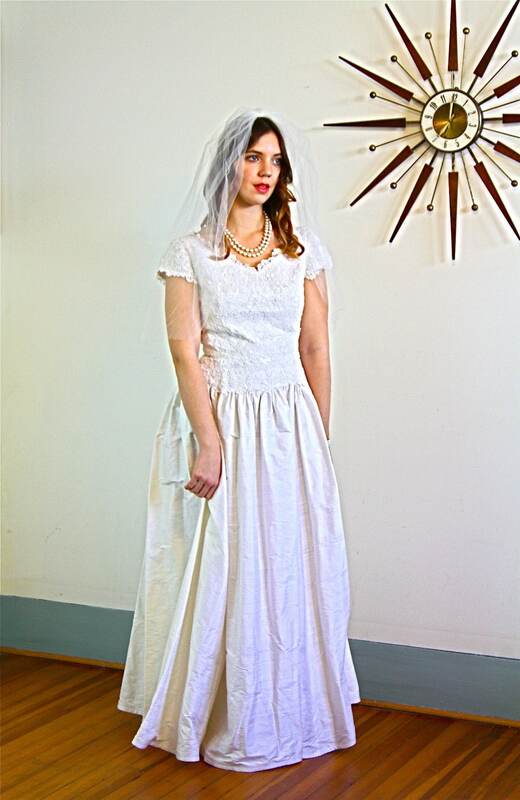 This lovely vintage bridal gown is made from Ivory Chantilly Lace on the bodice, and crisp raw silk on the skirt! 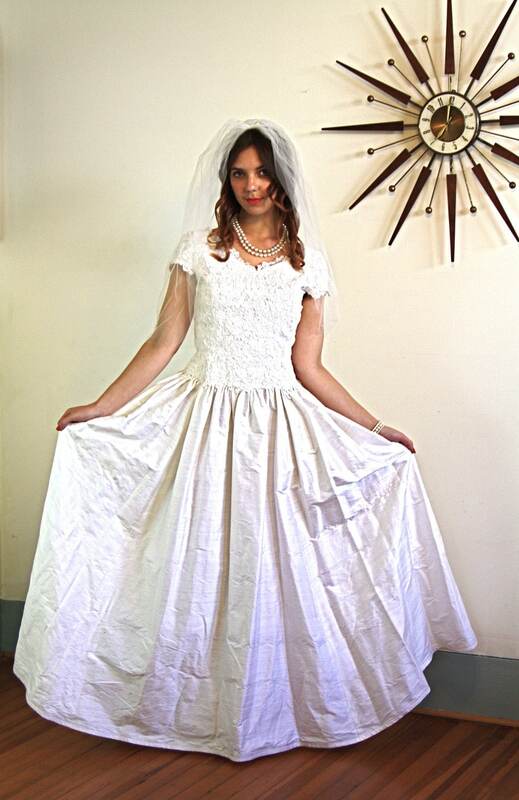 This sweet 1960s wedding dress has short cap sleeves, and a low waistline. 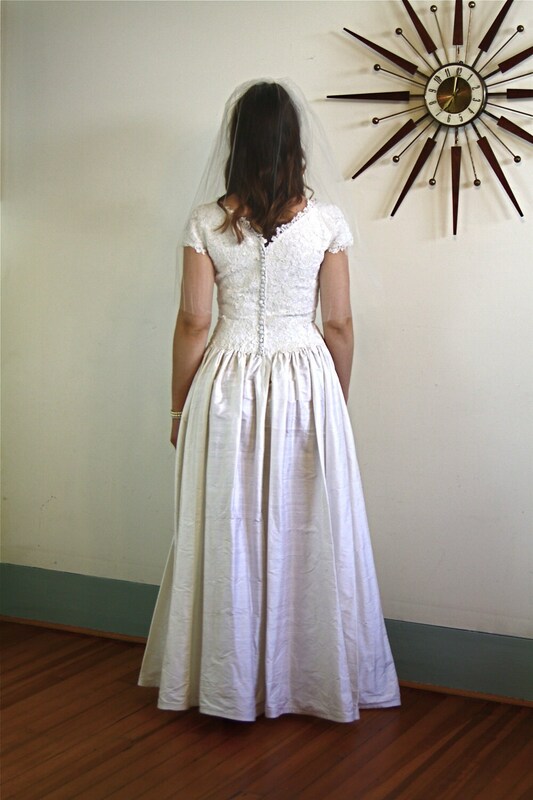 This lovely late 1950s early 1960s wedding dress has satin covered buttons up the back, but zips up. 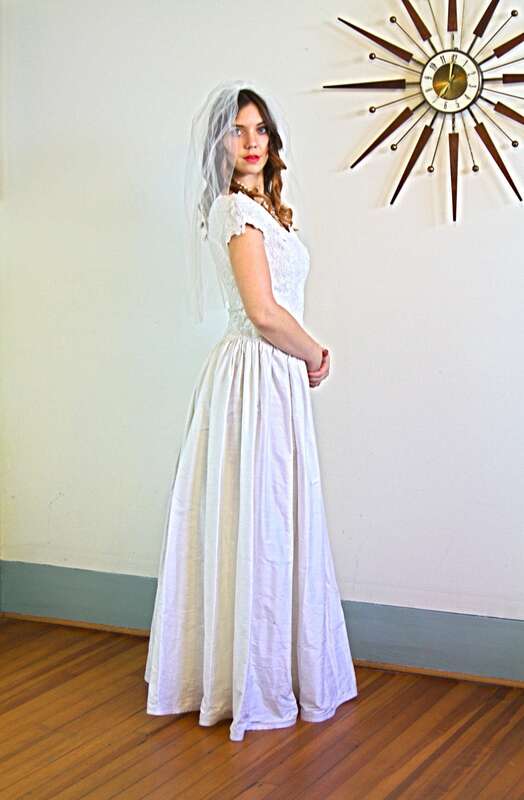 This lovely wedding dress has a modest cut, and is just so sweet! Fabric: Chantilly Lace bodice, raw silk skirt ( bodice fully lined, no lining in the skirt). Model Measurements: bust:34", waist:29", hips:41", height:5'9"
CONDITION: Excellent! Freshly back from the dry cleaners! Please convo me with any questions or for more photos! Thank you!